Broadstone Rec is a delightful mix of playing fields and woods on sloping undulating ground. It has an interesting network of footpaths. Courses of 0.3 to 1.6km are available. Map packs can be downloaded and printed, as described below. The park is open all the year. Free parking is available at the Lower Blandford Rd. entrance and also at the Dunyeats Rd. entrance. Toilets near the cricket pavilion. 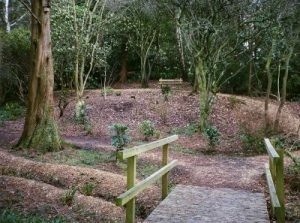 Borough of Poole maintains an official website for Broadstone Recreation Ground if you are looking for information that is not specific for the POC hosted on the site.